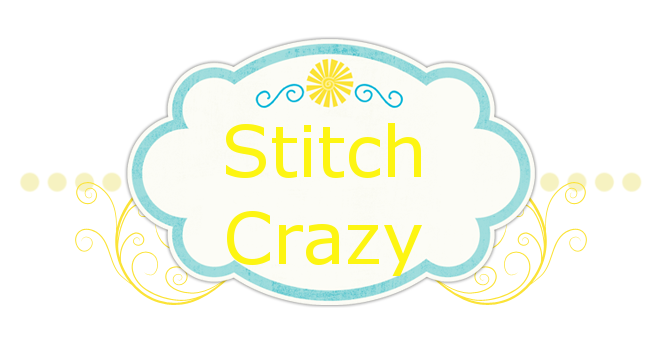 Stitch Crazy: Grow Your Blog Party! Hmm, Hi! Blogger is currently not being nice and not allowing me to upload pics, so I can't add in the little Grow Your Blog picture doohickey, but it is being hosted by Vicki over at 2 Bags Full, last I read, over 150 bloggers were signed up!! No matter what I click on on the left side of the box (after clicking the insert pic) the right side is blank. I do use firefox and this has been going on for 3 days. I HATE picture-less and this is usually why I will disappear from blog land. Anyhoo, that is why no pics. But on to me. I am Shanda and live in Texas. Wife to James, step-mom to 16 yr old Seb and mom to 18 yr old Ty. If you look at the 2nd page it is all about the angst we are going through with Ty right now. It is not good or pretty and breaks my heart. I really wanted my blog to be all about stitching, but it veered when "the kitties" came into the picture. "The kitties", long story short, were babies found at 1 day old and their momma was killed. I took them in and my husband and I nursed them and they are healthy, happy rambunctious, ohhhh, 7/8 month olds now. They joined our crew of 5 doggies. The kitties are Logan and Gambit. Doggies are Tas (german/husky mix), Dolly (german/lab mix), Issabella (chihuahua), Cashew (jack russell/pug mix) and Angel (terrier mix). Yes, we have quiet a crew and my heart is entirely too large when it comes to critters. I started stitching November 2011. I was in my 2nd year of an undiagnosed back injury and had to realize quilting was no longer an option for me. I could no longer sit at the sewing machine, or sit or stand to cut fabby. I spent over a year in just this loss. Then I remembered back to this one year in high school when I had stitched this little bitty Christmas ornament, so I thought, let me try that again. And I did, and I loved it. Soon after I had a full set of DMC and had quickly jumped from smalls into medium projects. Some over my head probably. Many got chunked. I now have my own "girl cave" to stitch in. I LOVE stitching. It gives me peace and joy. I LOVE watching the patterns come alive into pictures. I had many goals last year, my first one. Boy did I think I was going to stitch a whole lot. Boy did I not meet most of those goals :) I am sooooooo trying to keep my goals smaller this year and I have started a small goal list. I have. You can see it. But, if you are on facebook, and you know Silkweavers, you know about their sale. And I keep buying these patterns. And then Stitch Witch n Bits has their sale going and I bought more patterns. All patterns I of course want to do THIS year. It is such an addiction. One I love. My hubby has his music (he is in a band), I have my stitching :) I'm also co-owner in a wonderful, relaxed yahoo stitching group, Sisters_Stitching_Sharing_Life. We talk a whole lot about our lives, stitching and support and love each other. Wowee!! When I signed up for this, I never thought it would be this big!!! I’m rather stuck in bed due to an ear infection that is triggering meneire’s. TV watching is out, but so far I can still read, although I am having to be very careful with reading on the computer. But man oh man, so many blogs signed up!! I got through the first section with 0-50 followers. I finally had to tell myself to quit looking at older posts and just do a brief scan. I can always go back later! I do want to hit all the blogs by Feb. 1, but man, what is it 400 and some odd blogs? Thank you to all the new that have visited my blog and especially to the new followers!! Shanda!! I'm growing my blog too :) Fun fun! You have a new follower! Glad I found your blog because it's always nice to know other stitchers. Happy to meet you and I've become a follower!! I love stitching, too! Stop by my blog, when you get a chance. Hi Shanda. When I turned the guest bedroom into my personal stitch zone, the hubby told my sister I was "stitch crazy". But he painted the walls and moved the furniture, so I let it slide (lol). I'll certainly be following your blog and I'll check out your Yahoo Group as well. Good luck with your son. Teenagers are rough. Wow - you are a great stitcher! Love the pictures and it sounds like you have quite a menagerie with all your fur babies! I have 2 big dogs and 3 little dogs too and they are so much fun - I don't know what I would do without them. And your right, I think it is hard to keep a blog on one subject. I know mine goes all over the place. Sorry to hear of the troubles with your son. I will definitely keep you and him in my prayers. Sorry about the Meniere's...I can relate! Hope you feel better soon! I'm so sorry if you can relate!! I hate this dratted disorder!! This time round the "shifts" came on suddenly last night and I ran into the doorjamb of the bathroom hard enough to knock myself backwards and down. Unfortunately it was straight down into the kitty litter box. YUCK!! Then I went and watched TV and got sicker than a dog and realized uh-oh. It's worse than I thought, so I'm in bed doing the benadryl, sudafed by day, antibiotics. Out of meclizine though. Myself, my mom and my aunt all have it. So does James's grandmother. Hate it, hate it, hate it!! I'm already a follower but it was nice to read about your stitching again. You've gotten a lot done in the year since you started cross stitching. A whole set of DMC and your own mom-cave! Please enter me in your drawing! Thanks! So nice to meet you via GYB. Feel better soon. I'm a new follower. Wow, you have some crazy stitchin' skills. I'm amazed. Hi Shanda, I really like what you do here, so I'm nominating you for a Liebster Award. Check out my post with the details and let me know if you have any questions! It's all about new bloggers getting to know each other and motivating each other! Hello Shanda. I am visiting from England UK. I'm a new follower too. Hi Shanda. I currently live in Georgia but am soon to be moving to Texas. I just started following because of the party. So happy to meet new stitchers. I love this party! I see many familiar faces and meeting new stitchers. You have a lovely blog. I'm new follower and 'Grow Your Blog' participant. Have fun in at the party! I'm looking forward to reading your blog. I'm a new follower, and my "main" crazy, is cross-stitch, followed closely by crochet, then sewing. It is a pleasure to meet you. I so enjoy visiting blogs of fellow cross stitchers and seeing all the wonderful projects they are working on. You are an amazing stitcher! I like your blog very much. I have followed and would like to win. Thanks so much for visiting my blog, too. I've been reading here for the last 45 minutes. I was gone all weekend and yours is the first blog party blog I have visited. If I take this long with every one of them, I'll be reading for a few months and more... Your writing really captured me! I'll be back to visit!! And thanks for stopping by my blog!! I'm having that exact problem, I'll tell you what someone else told me. If you are in HTML, you can upload. I know nothing about HTML, so I just click on it when I start my posts to upload my photos, and then click back to type my post. I just found your great blog thru the party and have become a follower. I would love to be entered in your giveaway. First Finish of the New Year!! !